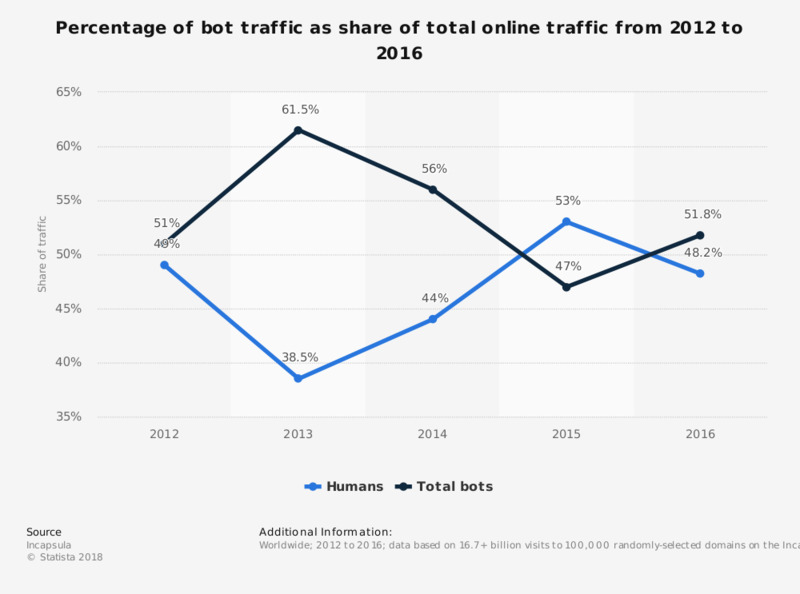 This statistic shows the percentage of bot traffic as share of total online traffic. In 2016, bots accounted for 51.8 percent of online traffic. That year good bots accounted for 22.9 percent of traffic and bad bots accounted for 28.9 percent. The source does not provide information regarding the location.